Tons of potential for this commercial bldg zoned Highway Commercial. 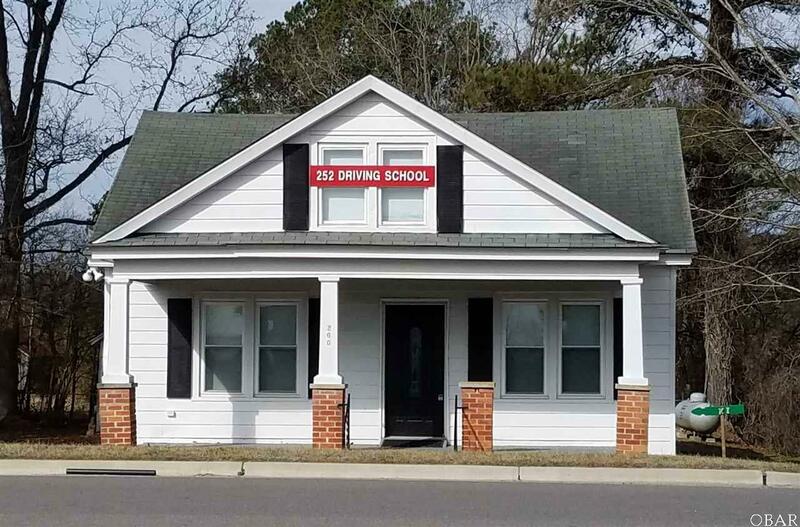 Currently approved for & being used as a private driver's education school (252 Driving School), full kitchen, one full bathroom, dining room area, office & classroom. Finished but unheated upstairs has tons of storage w/perm stairs. Business Name 252 Driving School Inc. Listing courtesy of Tammy Shilling of Howard Hanna William E. Wood - Currituck.